The flight was at 11:50am but I was at the airport at 9:00 am, the meet up time. I met Mick (from Australia) and Steve (from UK) who are the 2 other international guests of the Seafari. So there we were, having coffee while waiting for our check-in time and talking about diving when I suddenly realized I don’t remember packing my underwater housing! Barely recovering from the stressful Beijing trip the day before, I packed for the 8 days Dive Seafari Bohol. While I was totally stoked to be part of this photo dive event, packing remained to be my least favorite thing to do. So lucky that I decided to come to the airport early that there was enough time for the driver to come back before I boarded. What a disaster it could have been! Ha ha. Then I met the 2-featured photographers for Bohol— the locally famous adventure photojournalist Gutsy Tuazon whose travels and photos I’ve been an avid fan of, and legendary underwater photographer Robert Yin whose photographs have been around as long as scuba diving. I feel like Alice in Wonderland in their presence. And I’m going to be diving with them! We were sent to our hotel to check-in and then did a quick stop at the dive shop to meet our dive guides and got briefed of the diving itinerary. 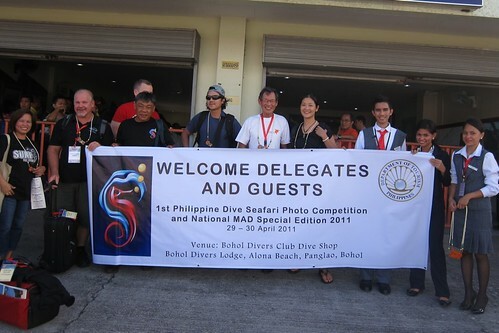 Bohol Divers in Alona Beach will be taking care of our diving for the next 5 days, as well as host most of the Dive Seafari guests. I was supposed to stay here, but because of the heavy booking this summer, they don’t have a room for me. How lucky! I got to stay at the Peacock Garden in Tagbilaran. I knew it was going to be a nicer hotel since the VIPs Bob and Gutsy were booked there. But not even the photos in their website prepared me for what met us when the heavy wooden gate opened to take us in. It has a feeling of like when Harry Potter arrived Hogwarts for the first time. If you’ve never cared for the book or the film, let’s just say it’s out of this world. 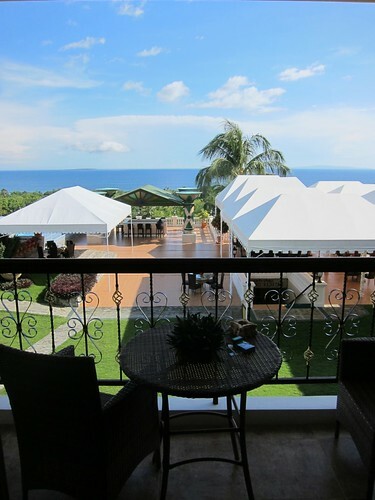 It’s a huge 4-hectare resort sitting on an 11-hectare property. How’s that to begin with? I don’t know yet many rooms they have here, but the rooms we were put in, easily costs a million pesos each, and these are not the suites. What’s crazy about this is, it’s family owned, not by some big hotel chain. All resort photographs are nice. You have to see it to believe it. I’ll see if I can get the chance to tour around the property and feature it later. A dinner for the Dive Seafari guests was hosted by the DOT represented by Ms. Rowena Montecillo, regional director for Region 7. The provinces that comprised this region are Bohol, Cebu, Dumaguete, and Siquijor. I know, the diving trail of Visayas. I’ve been to the Bee Farm the last time I was in Bohol but we only did the tour. The foods were unique and really good, all fresh and organic. You should try their special ice cream flavors—malunggay, horseradish, and spicy ginger. The food was good but the highlight of the night is the rare chance to sit and talk to the DOT director about divers’ concern on the disappearing sea creatures due to over fishing, netting, and dynamite fishing. The thresher sharks feeding on the ball of sardines that disappeared at the end of last year in Pescador Island was specifically discussed. How local fishermen should be educated to be protective of their underwater treasures. 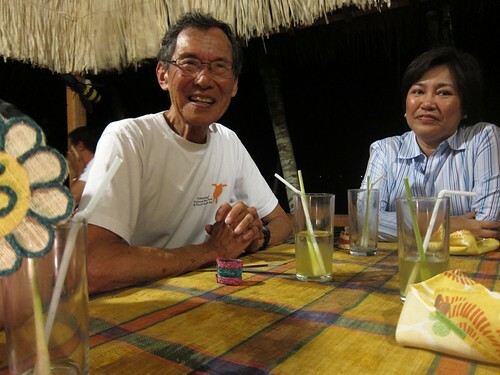 Bob and Gutsy relayed their experiences 12 years ago in helping made what Donsol is today. They educated the locals and was able to made them realized that selling 1whale shark fin for 10,000 pesos is not worth the future of no whale shark. I love the story told by Bob where Gutsy armed them with his own gun(s) so that the local fishermen can protect themselves from the foreign boats with guns. Today the butanding watching in Donsol is a multi-million dollar industry. It’s totally amazing for me to be sitting with these 2 (Bob and Gutsy), really.